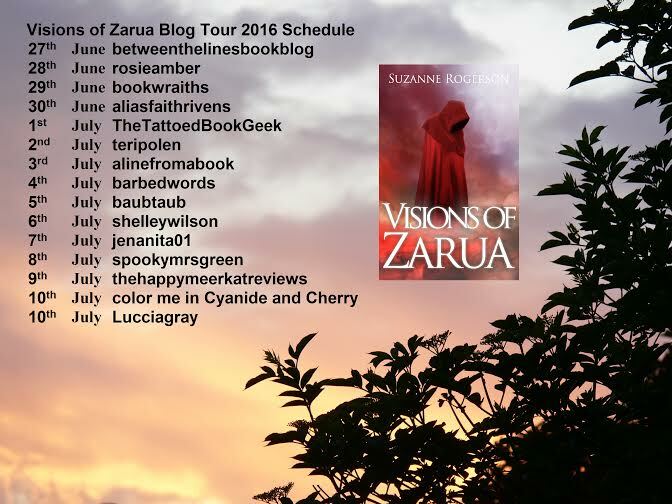 I’m delighted to be taking part in the Blog Tour of Suzanne Rogerson’s debut novel, Visions of Zarua. 1- Visions of Zarua, is your first published novel. Can you tell us something about your journey into publishing. Getting Visions of Zarua published has been a long process – 10 years +, though my journey started way before that. 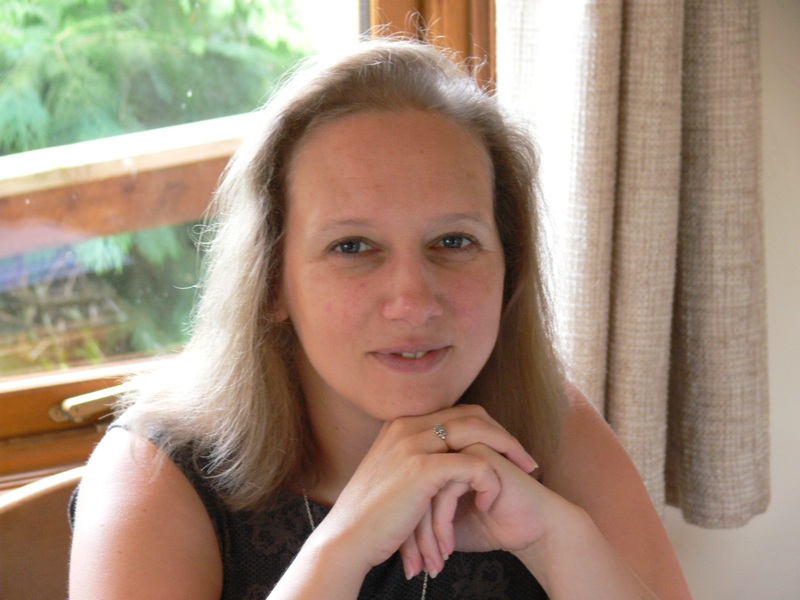 I wrote a teen novel when I was 12 and had written two fantasy novels by my early twenties. Since then I’ve completed several fiction home study courses and attended creative writing classes. These helped me become a better writer, but it was the professional critiques and editorial services I paid for that really shaped this book and gave me the confidence to self-publish it. Over the years I’ve contacted agents and entered many competitions, but looking back the books and short stories I submitted weren’t ready. When Visions of Zarua was finally finished, I decided not to wait on an agent or publisher’s decision, but to take charge myself and let the reading public decide. Seeing the wonderful comments from readers and reviewers on Amazon and Goodreads, I’m so happy I took that chance. If I hadn’t, I could still be waiting now. 2- Which authors have influenced you most as a writer? The author that most influenced me is David Gemmell. Apart from being a master storyteller, he had a way to make you care about every single character no matter how small a part they played. That’s something I love about his books and still keep in mind as I write. More recently I’ve been influenced by the success of a self-published author Anthony Ryan. He started out like me, before being snapped up by publishers and is now a bestselling author. When I read his first book, Blood Song, I knew I’d found someone worthy of stepping into David Gemmell’s shoes. 3- Someone says, ‘I don’t usually read fantasy novels.’ What would you say to convince them to read you novel? Fantasy is about so much more than just magic and wizards, that’s what attracts me to the genre. Visions of Zarua has elements of other genres that I love to read; mystery, adventure and a sprinkling of romance. A recent reviewer called Visions a fantasy detective story, and many others have commented on the mystery side of the story. It’s still a fantasy, but it’s accessible to everyone, not just fans of the genre. I’ve created characters readers seem to love or hate, and another big plus for this book is that it’s a standalone – no need to wait a year or more to find how things turn out. Many of the reviews for Visions of Zarua have said it’s a book anyone can enjoy even if you don’t normally read fantasy, and that it’s the perfect introduction to the genre. 4- Can you tell us something about your main character? There are several main characters in this book. Paddren is the reluctant hero, forced at every turn by events out of his control, but he’s also guided by a sense of duty and determination to see his master’s killers brought to justice. Varnia is strong-willed and stubborn, but she’s caring and determined to do what she thinks is right for everyone. Leyoch’s need to be accepted by society drives him into difficult situations, though he always puts the welfare of others above his own needs. 5- What are you working on now? A fantasy trilogy ‘Bloodlines’ which has a similar mix of fantasy, mystery and romance. The first book, The Lost Sentinel, will hopefully be published later this year or early 2017. I also hope to develop a short story into a novella. It’s about a woman whose husband doesn’t return from war, though his body is never found. She has nightmares about him reaching out to her from the battlefield and becomes convinced he’s trying to contact her. Certain he isn’t dead, she enlists the help of a local mystic to find him. I have several other novels in various stages of planning and first draft, and I’m hoping to reach a point where I can publish a book a year. That means I really should get back to writing now. Thanks very much for ending the tour, Luccia. It’s the final day of the blog tour and I have Q&A session with Luccia, plus info about my Goodreads Giveaway. Please join us.